Have you read Lovemarks by Kevin Roberts? It’s an interesting take on where brands might go based on the ideas of Kevin Roberts who is the CEO Worldwide of Saatchi & Saatchi. 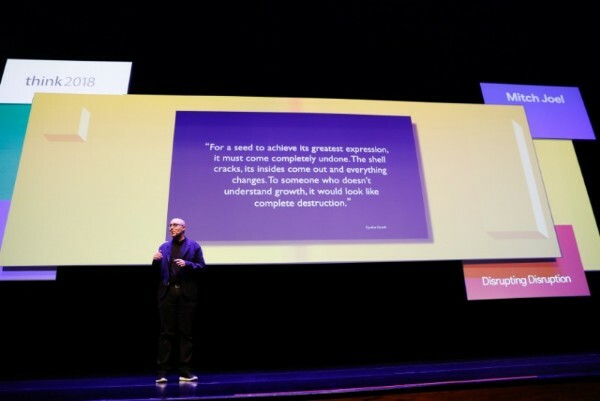 As Lovemarks and her concepts continue to gain in recognition, Kevin Roberts gave a keynote this week at Ad:Tech and introduced his latest concept, Sisomo, to the crowd. In an article from Ad Age Magazine titled, The Sisomo Of Kevin Roberts At Ad:Tech, you can read more details and certainly lots of criticism about Roberts’ speech. The article also contains a link to a six minute video clip of the presentation (you must register on the site to get access). Roberts also handed out copies of his new book, based on Sisomo, to the entire crowd. I like Kevin Roberts. He’s passionate about brands and creating conversations and communities with consumers. Whether he reads a speech or does not show enough interactive work during his presentation is secondary to his message: get a conversation going and engage consumers. If they don’t care, you don’t exist. You can view the full article and links to video here (but you need to register): The Sisomo Of Kevin Roberts At Ad:Tech. You can check out some of the contents the book here: Sisomo By Kevin Roberts.